Momma Narwhal is the definition of a busy bee. 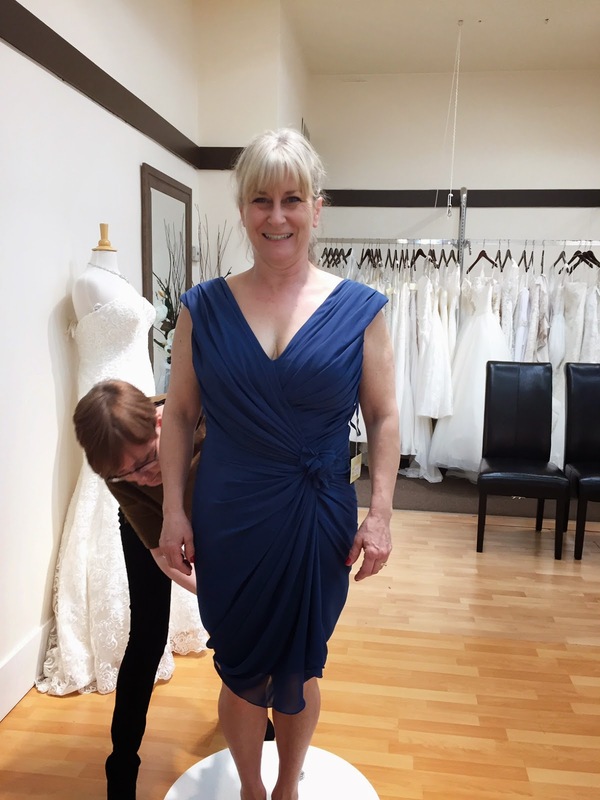 As the owner and operator of a restaurant for over 36 years in Muskoka and an avid volunteer, penciling in time to go dress shopping meant looking a month ahead in time. At the end of March I was given the choice of three days from the middle of April to beginning of May and we settled on this past Monday as the day we could find the second most important dress for the wedding: the Mother of the Bride dress. Shortly after getting engaged, the mothers (and my grandmother for that matter) were asking me what I wanted them to wear to the wedding. I hadn't given it any thought, I just wanted them all to feel their best, but they wanted more guidance. After some brainstorming, I decided that I wanted my mom to stand out on her own, without wearing the same colour as the bridesladies. We decided a dark turquoise would play in nicely with the turquoise stone necklaces the ladies are wearing. I told Mr. Narwhal's mom that she could aim to wear navy to go with the boys. Momma Narwhal and I decided to go to Barrie rather than driving all the way to Toronto (one hour versus two). Our first stop was the mall to see if we might be able to find a dress for her. 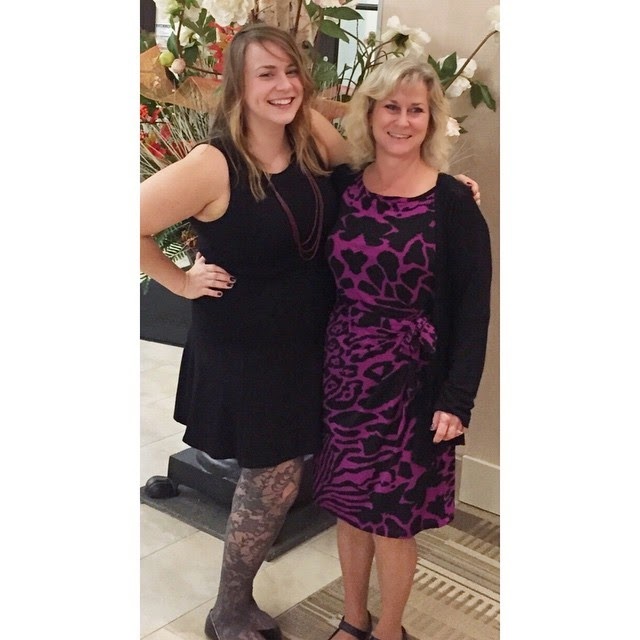 At approximately 4' 11'' (rounding up) my mom is quite petite, which makes dress shopping not exactly the easiest of tasks. The mall wasn't really our friend when it came to mother of the bride dress shopping. Stores are filled with prom, grad and summer dresses - basically a whole lot of pastels and patterns. Store after store, we were coming up dry. A little burnt out and out of options, I suggested it was time to hit up a bridal boutique. Google led us to Helen's Bridal. We were immediately greeted by an enthusiastic consultant that knew her stuff. She started pulling dresses that she felt would suit my mom the best and we were off to the fitting room. And, wouldn't you know it? The first dress she tried on was the winner. The dress needs some petite accommodating alterations (imagine less on the straps and length), but it was the clear winner. The dress came in the perfect colour*, it met my mom's wish list of having straps and not being too form fitting... and of course it made her feel like the mother of the bride. After grumbling a bit about being the most she's ever spent on a dress (besides her own wedding dress), we left the boutique happy and satisfied to have another thing checked off the list. I'm really excited to see how amazing she looks with it altered to her size! Where did your mom find her dress? *This photo isn't the best representation of the colour in person.